Do you have a student who needs some extra help with managing their behavior? 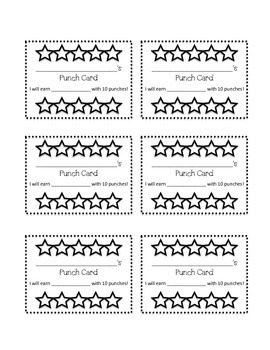 Some students do better with a visual reminder....enter a punch card! 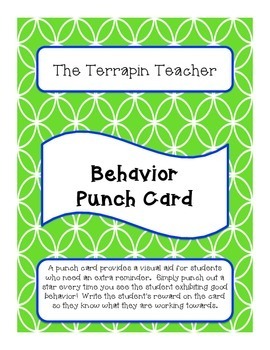 A punch card is small enough to sit on the corner of the student's desk without taking up room but will remind the student what they are working towards. 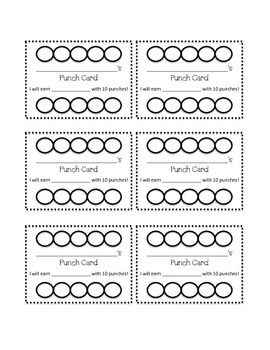 This set provides six punch cards on a page with three different styles. 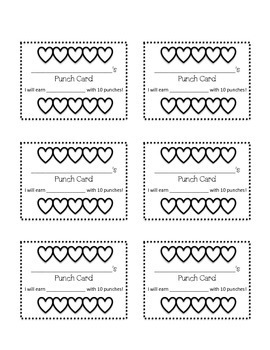 Simply copy on cardstock, cut out, and use! There is space on each card to write the student's name and what they are working towards. Thank you for downloading my product! Hope you enjoy!